VitaCup is so sure you will have a new favorite tea that they’re offering a money back guarantee on every box they sell! This time saving, Keurig® compatible tea will support your immune system and give you an energy boost. 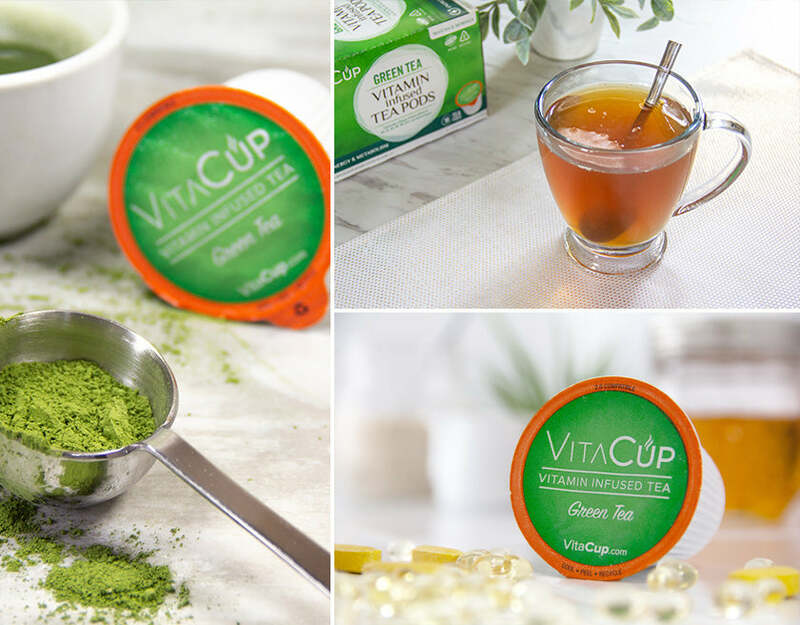 The new and improved Green Tea has arrived with VitaCup's Green Tea which will not only support your body with their signature vitamin blend but also help your immune system and perk up your metabolism. Moringa - Moringa Oleifera which has many of its own vitamins and nutrients including vitamins C, A, calcium, potassium and iron. Just great tasting tea with an extra boost that is so good, VitaCup is willing to put their money where your mouth is! We’re providing you an exclusive 20% discount on our Green Tea because we want you to try our 100% recyclable, BPA free pods and see why people are switching from their regular, ground coffee to vitamin-infused VitaCup pods every day.